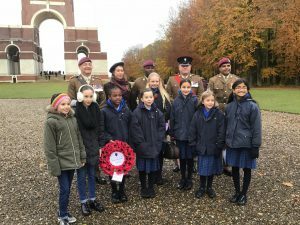 Six girls joined NGHS alumna, Emma Brown, to take part in possibly the most poignant school excursion ever as they represented NGHS at Armistice Centenary events across France and Belgium, and we could not be more proud of them. 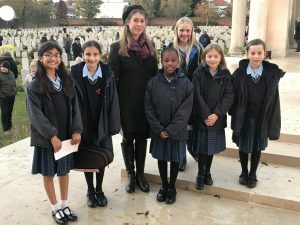 The six winners of the Junior School ‘Armistice 100’ competition (Nitya, Priya, Olivia, Maisy, Amelia and Evie) had the huge honour and privilege of travelling to France and Belgium with teachers Mr Cox and Mrs Braud to tour the battlefields and to pay their respects on behalf of the school community. For ones so young, the girls were a total credit to the school, showing maturity beyond their years and gaining the recognition and admiration of everybody they met. 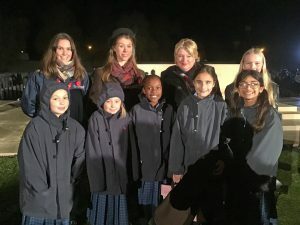 They joined NGHS alumna and acclaimed mezzo-soprano singer, Emma Brown, as she sang at the various sites, and some of the girls had the opportunity to perform too, singing, playing the violin and reciting poetry. 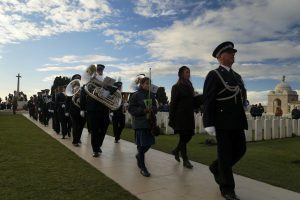 At Tyne Cot, the largest British and Commonwealth cemetery in Belgium, the local municipality arranges an annual ceremony on British Remembrance Day. There were over 1,000 people present in the enormous cemetery, which has 12,000 graves and commemorates over 35,000 missing. Unfortunately, there were no microphones here so it was not possible for Nitya and Maisy to read their poems or for Amelia to sing. However, Priya’s violin carried beautifully as she played Pachelbel’s cannon, with Emma being a human music-stand. 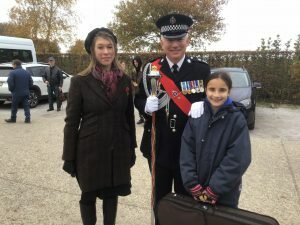 Emma sang with the West Yorkshire Police Band during the wreath-laying, after which they all marched together with the band, two generations of NGHS hand in hand. The last ceremony was at the Tank Memorial in Poelkapelle, Belgium at which the girls participated in a soil scatter. The soil had been taken from CWGC cemeteries with fallen tank corps, from Bovington – the home of the Tank Corps, and combined with dust from the Portland Stone used to make CWGC headstones. 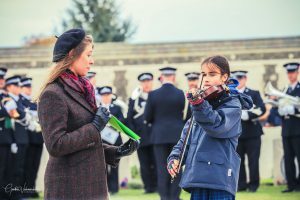 Together with the VIP party, the girls scattered the soil in the newly created Garden of Remembrance, and read poetry and performed music before the ceremony. 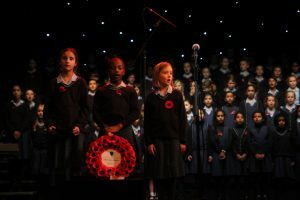 Emma will be joining our Vocalise choir and John Keys, Nottingham City Organist, in a concert at Nottingham’s Albert Hall during which some of the Armistice pieces will be performed along with lots of other items. Our amazing girls are back now, and reflecting on their incredible experience. 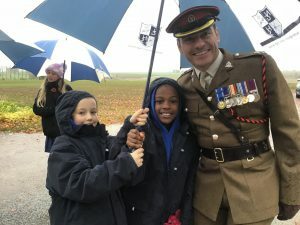 Their path to this opportunity began in April to September as they took part in the ‘Armistice 100’ competition devised at the Junior School. The girls, of ages ranging from eight to eleven, had to submit portfolios of evidence demonstrating three of the NGHS Junior School’s core values – Resilience, Positivity and Empathy. 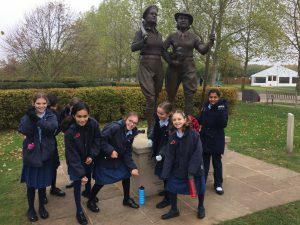 Their deeds and accomplishments were wide and varied, and included charitable fundraising, sports and fitness, community work, helping out with home chores, acts of kindness, researching WW1 and composing poetry with the themes of war and peace. After much difficult deliberation, eight runners up were chosen, and six winners. 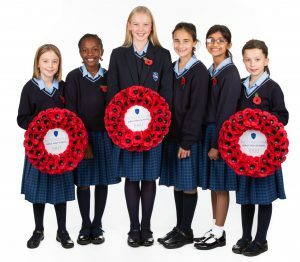 Each of these girls then had the honour and privilege of taking part in British and Commonwealth Remembrance events at home and abroad, after initially taking part in the beautiful Festival of Remembrance concert at school. 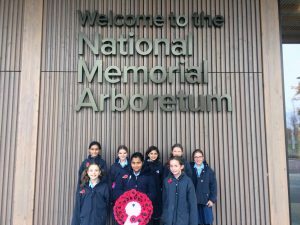 The eight runners up went along with Mrs Fowler to the National Memorial Arboretum in Staffordshire on 5 November to pay their respects and to admire the many significant tributes, and the six winners took part in the trip mentioned above. 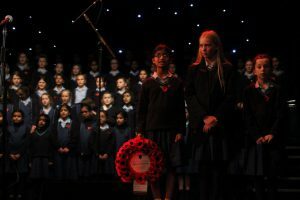 This whole sequence of events around the Armistice Centenary culminating in the overseas trip will certainly stay with us for a very long time, and the girls should be very proud as they are now part of history and something incredibly special.